The conference was well attended throughout. This was in the afternoon session. 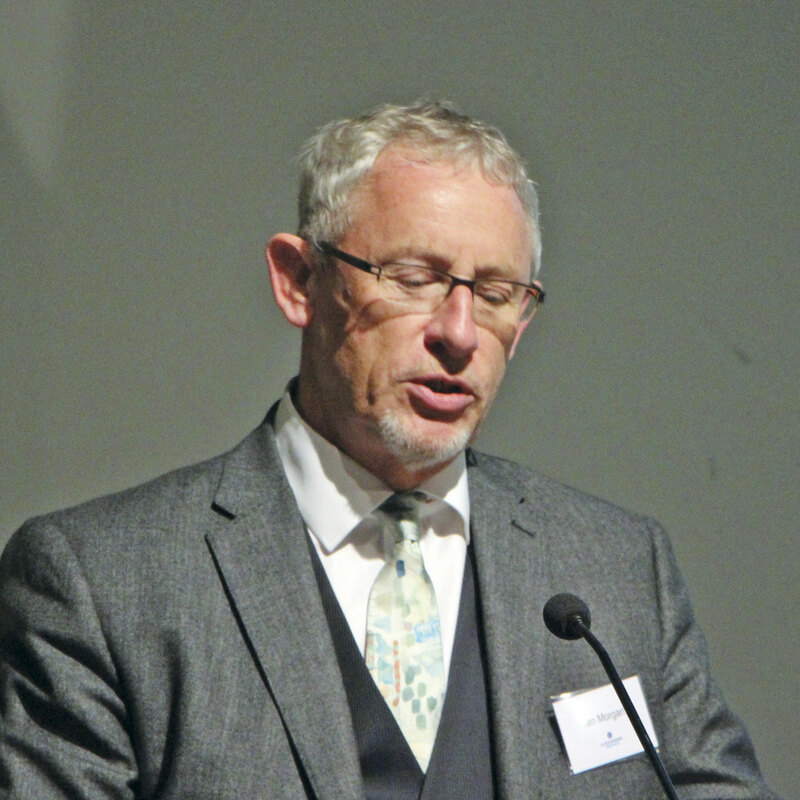 Michael Renshaw, Executive Director of TfGM. Transport Minister, Andrew Jones, wasn’t actually there. Stagecoach Chief Executive, Martin Griffiths. 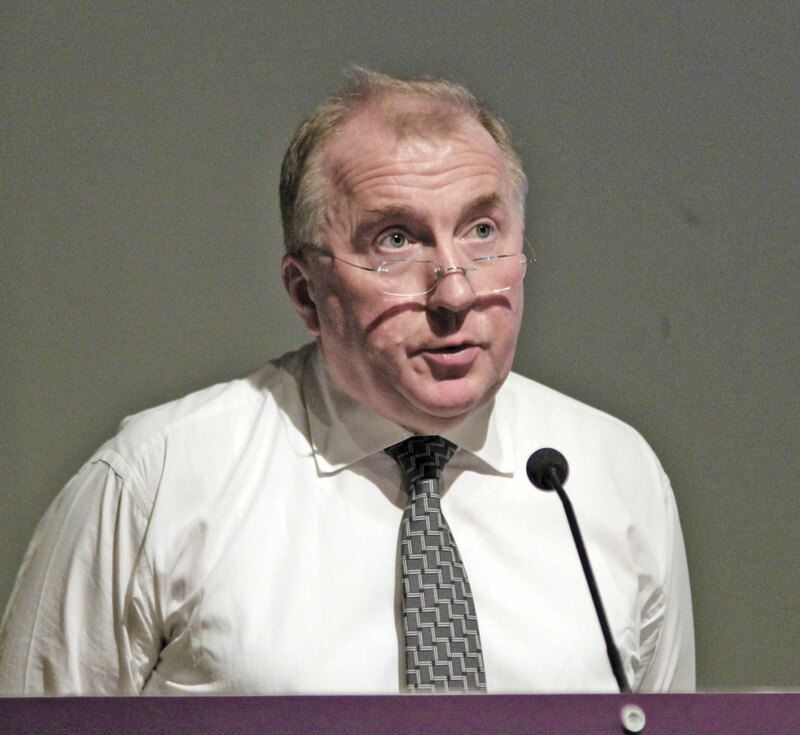 Ian Morgan OBE, CPT Chairman and Deputy Chair of the Wellglade Group. 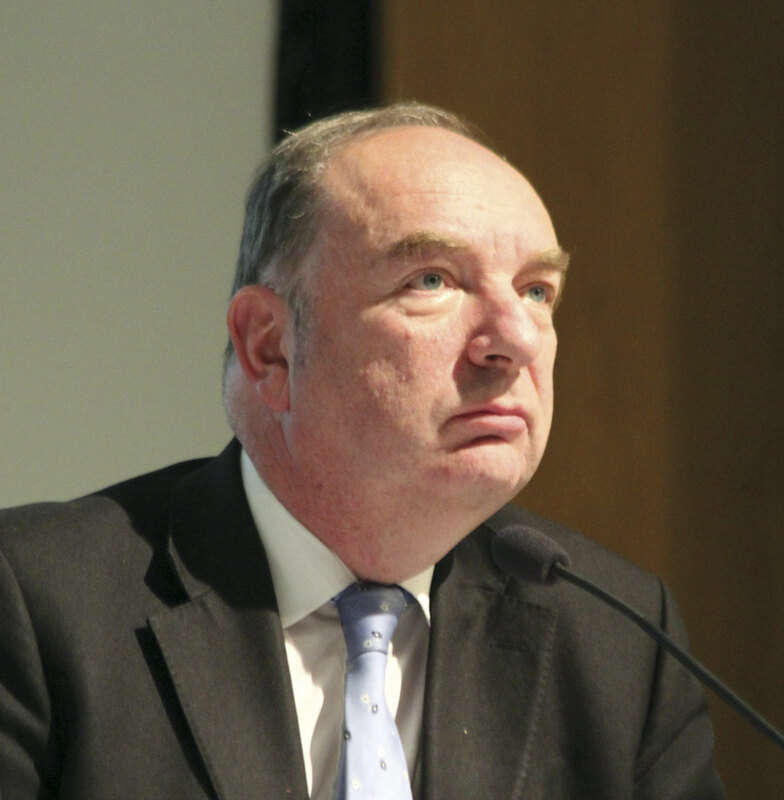 Norman Baker, Chair of Bus Users UK. Tobyn Hughes, MD Transport Operations for the North East Combined Authority. Senior Traffic Commissioner, Beverley Bell. There have been quite a number of conferences in recent months and all have touched on the apparently linked topics of devolution and re-regulation to various degrees. CPT’s triennial Northern Bus Summit held at the Manchester Conference Centre, took as its title ‘A Smart Road to Devolution’ -The Role of the Bus, and attempted to give all sides a platform to have their say about the role of the bus in the coming years. Inevitably much of the ground covered will have been gone over before in our pages so I will try to cover the main points with the emphasis on any new strands of argument I perceived. Facilitating the conference was the extremely capable David Guest, BBC North West News Reporter, with former Transport Minister, Norman Baker, now Chair of Bus Users UK, chairing the questions and panel discussions. The conference introduction was given by Michael Renshaw, Executive Director of Transport for Greater Manchester (TfGM), who spoke of Manchester as a vibrant place with 1.4m people working for 100,000 businesses, 0.3m people working in financial services, a growing creative and digital sector and 100,000 students. He claimed Manchester would grow at a greater rate than any other city outside London, which was ‘consistent with our historic ambitions and very much aligned with our future ambitions.’ This ambition was behind the local authorities getting together to form a Combined Authority in 2011, so that they could work together more efficiently and effectively across the city region and an agenda that included integrated planning and housing, employment, education, training, health, social care and transport. He claimed local politicians of all parties were ‘full square’ behind the strategy, at the heart of which was economic growth to benefit all of the residents of Greater Manchester. Central to this was the public transport system and it was vital that the bus played a full and expanded role. It needed to be part of a truly integrated system in which the roads were not clogged with congestion and the air was not dangerously full of emissions. He said the real challenge was, ‘how precisely can bus fill that role?’ which was the central theme of the day’s debate. The irony of Dave Guest’s complaint that Michael had ‘nicked’ his glass of water as he walked off will not have been lost on those who bought and have continued to invest heavily in the award winning local bus companies. You could be forgiven for wondering whether the Transport Minister with responsibility for buses, Andrew Jones, actually exists. I think this is the fourth successive conference I’ve attended at which he was billed to appear but has cried off and we’ve been treated to a video of him instead. I’m sure he has things to do but it gives the impression buses are low on his agenda, neatly avoids him having to answer any questions and more importantly, can’t help him get a feel for what the industry thinks. His message was that though he noted passenger satisfaction levels of close to 90% and many examples of operators and local authorities working well together to deliver increased patronage, there were some places where more can be done to achieve better passenger outcomes. The Government was committed to devolution. Bus services were ‘inherently local and must take full account of local circumstances and needs.’ It was, he said, ‘right that areas that have ambitious plans to grow and develop should be given the powers they need to achieve their objectives.’ He declined to comment on the process in Tyne & Wear but said that he was keen to learn from it when the Buses Bill was developed ‘and ensure that we develop a more transparent and straightforward process for moving to franchising.’ A number of ‘groundbreaking’ deals had been signed with local authorities which permitted them to franchise their local bus services if they wished ‘and franchising continues to form a core part of ongoing devolution deal conversations. Our plans go beyond the five devolution deals which already include bus franchising powers.’ Franchising wasn’t the only option and some deals included partnership proposals; not all areas would adopt the same solutions. At the end there was an awkward silence as nobody clapped. The first of the day’s five sessions was entitled ‘Devolution – Franchising vs Partnership’ and it gave the operating side of the industry the opportunity to set out its stall. This was the third time in a month I’d heard Stagecoach Chief Executive, Martin Griffiths, speak and his stance was robust but positive and certainly not antagonistic. Martin argued, ‘it makes absolute sense to develop local solutions to answer local challenges and priorities’ and that Stagecoach has a very devolved structure where local companies have the freedom to work together with stakeholders. For Martin, the good news was that, right across the north of England, we were starting with high quality and well used bus networks that were well invested in and provided good value for money. ‘It would be a very different discussion if we were talking about an industry that was in terminal decline,’ he said. In the last month operators had delivered on their promise to introduce multi operator ticketing in Greater Manchester. The industry had been product lead but now had to change to being consumer lead, because it we haven’t really built long term relationships with customers and to go forward we would have to do that. Referring to the capital, he pointed out that passenger satisfaction was higher outside London and 90% of services outside London were commercial compared with only 75% in London. London was different, he stressed. ‘It wasn’t all perfect, we don’t live in a vacuum and there are challenges’, he said. Local Authority mileage was down 24% over the last four years and we couldn’t be immune from the latest spending cuts. Congestion was getting worse – Manchester’s roads were 40% slower than a year ago – with the result that it was costing Stagecoach Manchester £7m a year to put in extra buses because of it. He could have talked about the Tyne & Wear Quality Contract Scheme all day long but didn’t – ‘what matters is that we all move on.’ What mattered was that more people used buses and we had the right services, but it had to be affordable and it had to have the right balance between what local authorities and Government do and what operators do. He hoped it would be ‘a time to draw a line in the sand and move on positively and constructively’. If we didn’t there would be no winners, only losers and the biggest losers would be passengers. Martin thought a new dialogue was needed now. What the Minister said had included a lot of ‘we want and we wish.’ This was Governments did, but it was down to the people in the room to make it happen. ‘We need to be the delivery line. We need to get the right regulatory framework, the right delivery powers, the right approach and the right dialogue to take it forward,’ he said. It needed to involve everybody, to be innovative, to incorporate new technology and it had got to be affordable. Martin got that, if you were an elected local politician, you needed the bus industry to deliver and perform, but we needed to take the debate away from one of structures and control. We needed to recognise what each party brought to the debate – operators, local authorities and other stakeholders. 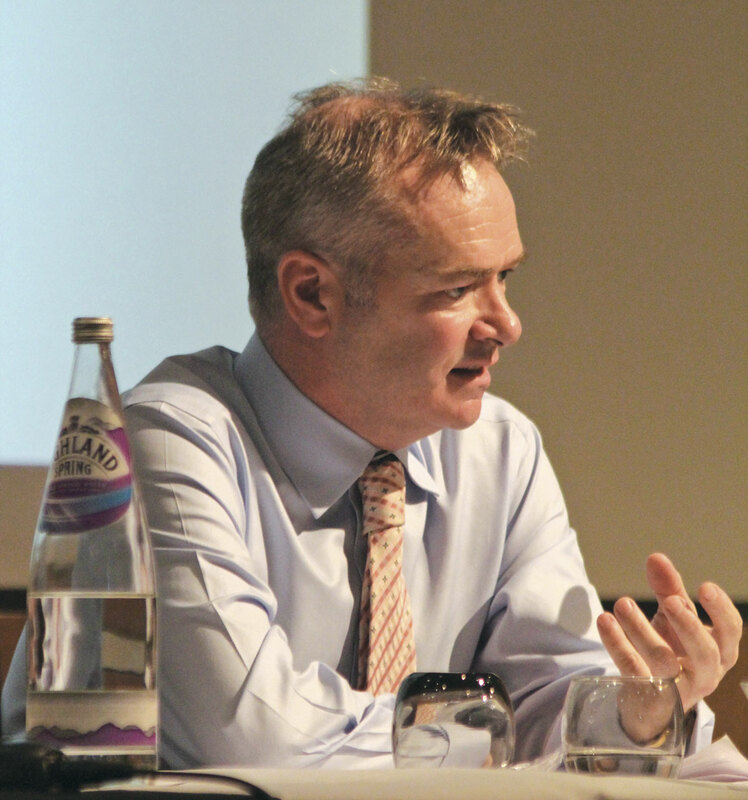 ‘This is not the time, when we are facing austerity and challenges around funding, to lose the benefit of what the private sector can bring in terms of innovation, in terms of operating and in our ability to fund and deliver technology solutions, because with all due respect to my public sector colleagues, that is what you need us for. The private sector can be your delivery arm,’ he said, referring to the example of Sheffield with its ‘constructive dialogue’ and done at a cost we could all afford. Emotions and tempers had run high as ‘we struggled to understand what had gone so badly wrong that a majority Conservative government, the champions of free enterprise, feels it necessary to give local authorities the power to close our businesses down.’ Ian said the industry, ‘accepted that the Government would push ahead with the devolution agenda and also accepted, though we might not agree with it, that the Government will provide powers in the Buses Bill to allow local authorities to introduce a franchise regime where they wish to do so. And here is my worry. I fear that it is inevitable that where a local authority, for whatever reason, does pursue the franchise option, that we will see smaller operators squeezed out. Some will say, well that’s business, and business is always vulnerable to the effects of Government legislation and policy, which is true, but it is extremely disappointing that there does not seem to be any appetite to compensate those operators who, through no fault of their own, lose their businesses. It seems grossly unfair that a family business, built up through hard work and dedication, probably over more than one generation, would be allowed to disappear overnight as a result of Government policy.’ Though time was running tight, he hoped the Government would reconsider on this point and urged operators to lobby their MPs. Having made these points, Ian said it was time to move on. Devolution should hold no fears for the bus industry because, by their nature, local bus services were just that; local services provided for local people by a bus operator with local knowledge. He firmly believed that delivering high quality friendly bus services that went where passengers wanted to go, at times when they wanted to travel and at a fair price was a shared responsibility. ‘When operators work together with local authorities, real benefits for the passenger are achieved. Partnership working has seen passenger numbers rise, complaints fall and has kept fares affordable. Most importantly of all, it has produced staggeringly high customer satisfaction statistics: what more can we do?’ He asked. A panel session followed in which Martin and Ian were joined on the platform by Kevin O’Conner, MD Arriva UK Bus, Martin Dean, Go-Ahead’s MD of Bus Development, Ben Colson, Chair of ALBUM and John Birtwistle, Projects Director for First. A lively and varied debate raised a lot of points, rather more than there is space to cover here. The panel for the final session. GMCA had spent a great deal of time and effort, matched by the operators, to try and get the most out of Quality Partnerships, which they first introduced in the late 1990s. He ran through the many successes of these partnerships, among the latest being the A6 Quality Partnership scheme on one of the city’s busiest corridors. Since 2000 it had invested around £0.33bn on supporting bus as a mode. For the discussion that followed, the two speakers were joined by David Young, Interim MD of SYPTE and David Brown, Chief Executive of Transport for the North. A telling point was when Norman Baker asked Tobyn Hughes ‘Aren’t Quality Contracts dead?’ to which he replied, ‘Possibly’. Much of the questioning centred on whether local authorities could afford franchising and whether, if they could afford it now whether they would be able to do so in the future? It’s all about the customers and accordingly the third session was ‘Passengers – What we want from our Bus Service’. 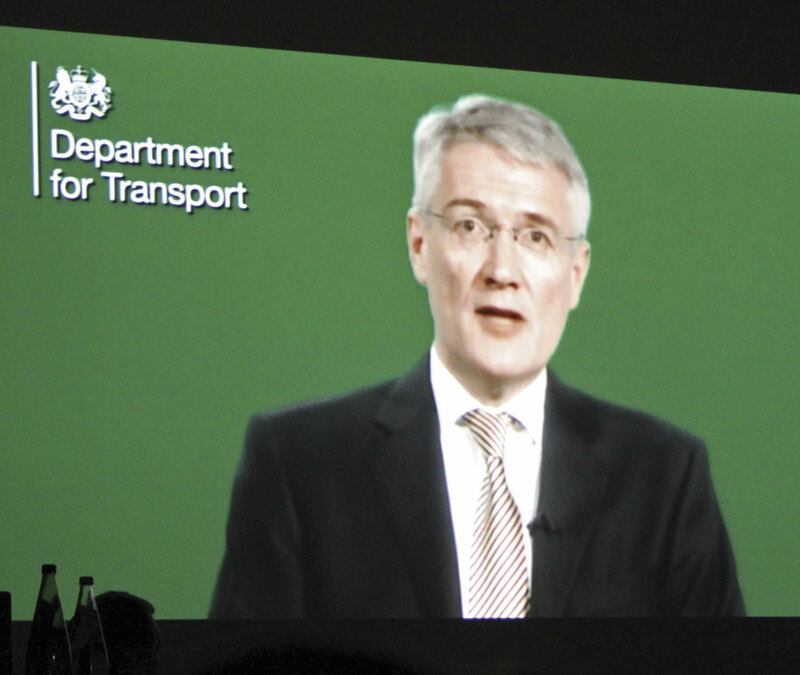 The speaker was David Sidebottom, Passenger Director for Transport Focus. It’s a shame to skip over something so positive but much of his presentation has been covered in previous conference reports. The ensuing discussion saw David joined by Claire Haigh, Chief Executive of Greener Journeys; John Moorhouse of TravelWatch NorthWest; Claire Walters, Chief Executive of Bus Users UK; Adrian Grant of the TAS Partnership; and Ella Beevers, a member of the Youth Parliament. Ella, spoke of extortionate prices and outdated policies for young people and said something needed to change. She wanted to see anyone in school uniform given automatic half fares. 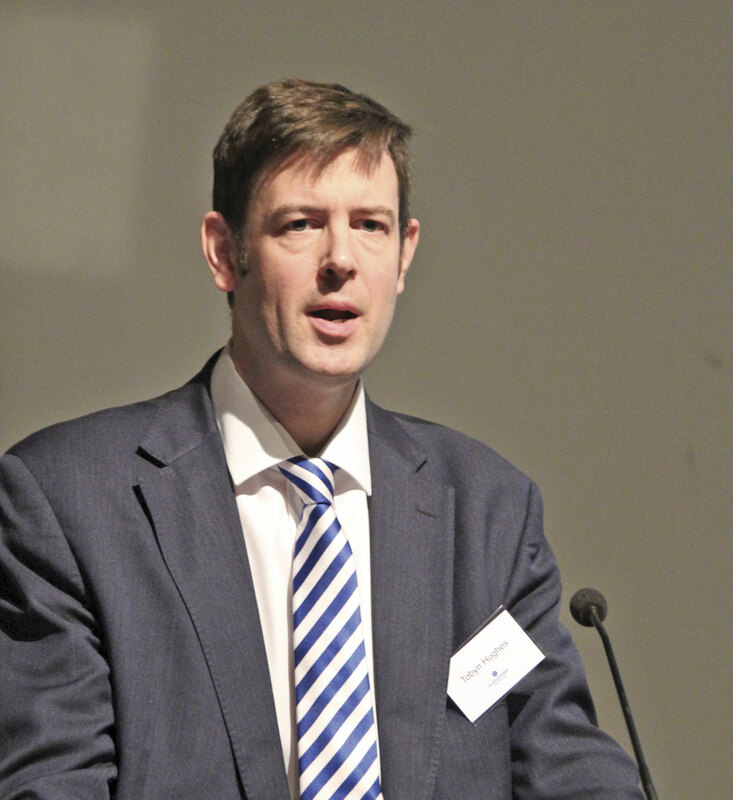 A recent survey suggested that less than half of people in the North knew what the Northern Powerhouse was, and in a short presentation David Brown attempted to enlighten people. ‘We hope to have more clarity of the key priorities in the next two to three months’ he said. 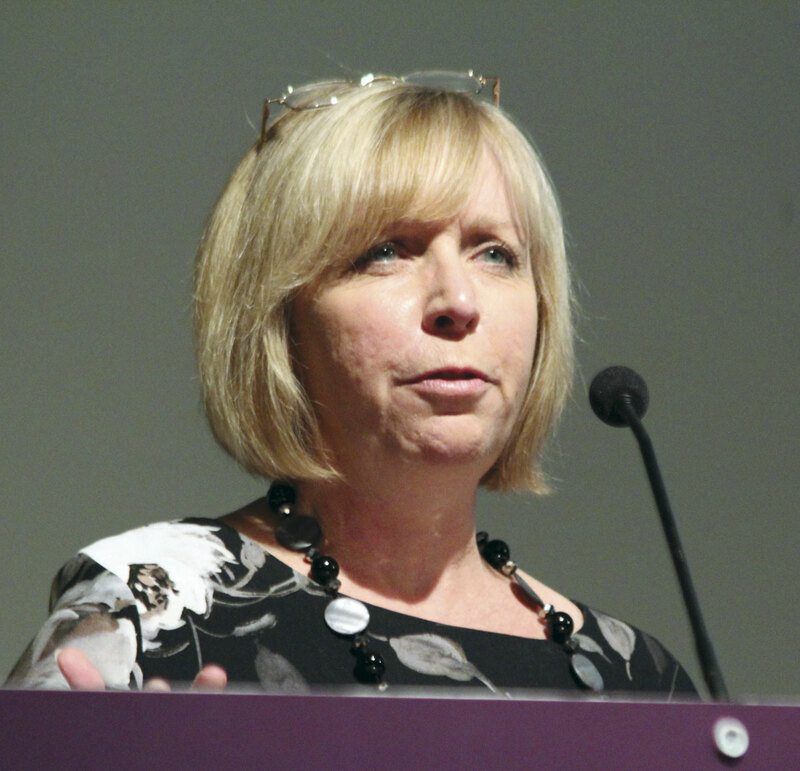 Unlike the Transport Minister, Senior Traffic Commissioner, Beverley Bell, was there in person. Beverley single handedly took on the fourth session entitled, ‘The Changing Role of the Traffic Commissioner in the 21st Century.’ I’m not really quite sure where this fitted with the conference theme but it was interesting. When she had been appointed, 15 years earlier, there had been no objectives for Traffic Commissioners but now there were four, among them that buses run on time (though she could only regulate operators not authorities) and enforcement was concentrated on the seriously non-compliant. A lot was being done to make her organisation more streamlined and efficient and it would have tangible benefits for compliant operators. ‘Please read my annual report’ she said, which is worth the effort. Rounding off the day was a closing debate that saw no less than 10 people on stage, most of whom had spoken earlier though CPT President, Bill Hiron and Ian Jones of Backhouse Jones were two notable additions. In one of the most telling and succinct comments of the day, Ian Jones suggested scrapping the HS2 as a vanity project and investing instead in HS3 from Manchester to Leeds. He didn’t care about getting to London 25 minutes quicker; it was the congestion that took him over an hour to get into Manchester that bothered him. In addition to the Conference there were a number of trade stands in the catering area with Ticketer, Mistral, Lloyd Morgan, CILT, BYD, Parkeon, ADL, Checked Safe, Volvo, React, Hill Dickinson, JR Buzz, and Backhouse Jones, among those represented. Conferences always present a conundrum in that if you have a large number of speakers the time for questions becomes limited and if you have a small number of speakers you don’t attract as many delegates. In trying to achieve the laudable aim of covering all sides of the debate there were a lot of presentations, and a panel of ten people for the final session was a tad unwieldy, but there was a lot to be gleaned from the day and everybody contributed, though perhaps they were not pressed as hard to defend their views as some would have liked. I’ve listened to the representatives of both sides of the argument repeatedly over the last year, and though I now have a clearer idea of what the local authorities want they have not come close to convincing me that what they say they want will deliver the end they look to achieve and furthermore that franchising, or rather contracting which is what it really is, is a better way than partnership of obtaining it. The risks are all the greater when the lack of public money there will be available to support it is taken into account. And, worryingly, when I listen to the likes of Tobyn Hughes and Michael Renshaw and their casual dismissal of the immense efforts and achievements of operators (who are not perfect) I fear that the people they will need to make bus operation thrive or survive (depending on your viewpoint) if franchising is introduced will not find it is an environment in which they feel valued and wish to work. At the end of the day it will be the passengers that will judge the success or otherwise of whatever path is followed. Yes everyone would like better services and some will travel more if the ticketing options are simpler but they won’t want to pay more and they won’t want worse services than they currently have on their route. Therein lies the risk of a return to cross subsidy, the supposed importance of a network over meeting the market need and all of this relying on the public purse for funding. Because, as was pointed out, if franchising doesn’t work you can’t just go back to what you had before because it will have been destroyed. The thing about gambling, and franchising is a gamble, is never risking more than you can afford to lose.